At a glance - what menu are we having this week? Lunchtime is part of the whole school experience and children are taught to behave with consideration and good manners at all times. School lunches are cooked fresh on the premises by the school catering manager and her staff each day. There is a varied menu with a vegetarian dish and fresh fruit available each day and a daily salad bar, which the children can help themselves to. Sometimes we use our own salad crops and vegetables grown in the school grounds by the children. Special diets can also be catered for. 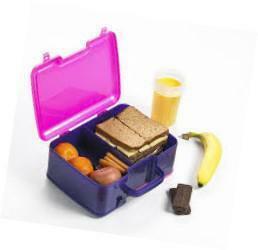 We would ask all parents to pay for their child's lunches during the week that they have them. Sadly, we are not able to provide lunches without prompt payment. Payments can be made daily, weekly, monthly and termly - whatever is most convenient for you. As well as paying by cash or cheque, parents now have the option of paying for their child's lunches (and other things like trips) using the school gateway app (which is completely free). However, could you be eligible for Free School Meals? We urge parents to claim their Free School Meal benefit - as well as helping parents, it also helps the school with extra funding to spend on the children (Pupil Premium), in addition to the funds given to the school for the actual lunches provided. We are always happy to meet with you for a confidential chat if you want more information (see Mrs Barraclough in the school office or the Catering Manager, Mrs Wilmshurst). Alternatively, see the star link below to check whether you're eligible. It takes just 5 minutes - what have you got to lose? What about Packed Lunches? Or perhaps you want to see into our kitchens to learn more about the team?